I have great admiration for everyone who runs cross country, no matter where they finish in a race. It takes courage to join the team and amazing perseverance to train and compete. So I cheer just as much for the student-athlete finishing last as I do the one finishing first. 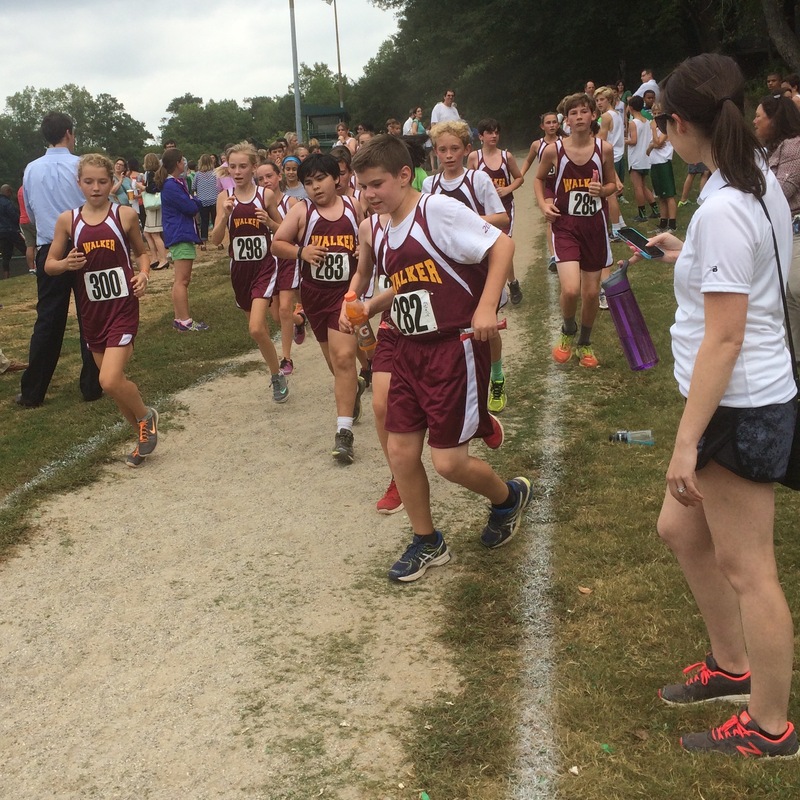 This past weekend our middle school cross country team took that perspective much further as the final runner came out of the woods, headed for the finish line. Without any prompting by a coach or adult, members of the Walker Middle School Cross Country team – who had already finished the race – ran into the woods so that they could run with, encourage, and support the final contestant. It was one of the most inspirational moments I have experienced as a head of school at Walker, and a picture of meaningful relationships at its very best. Part of the beauty of Walker is that our school size overall and small class sizes facilitate the degree to which meaningful relationships can develop. One of the key reasons parents choose Walker for their children is that they know each child is going to be valued, challenged and inspired at an exponentially different level than other schools. Walker has an amazing, long-standing reputation for providing challenging academics, talented and dedicated faculty, meaningful relationships, boundless opportunities, peerless college preparation all within a community that is both nurturing and diverse. These core strengths represent the hallmark of a Walker education, and throughout this school year, I will be using this space to highlight each of these core strengths, starting with meaningful relationships. 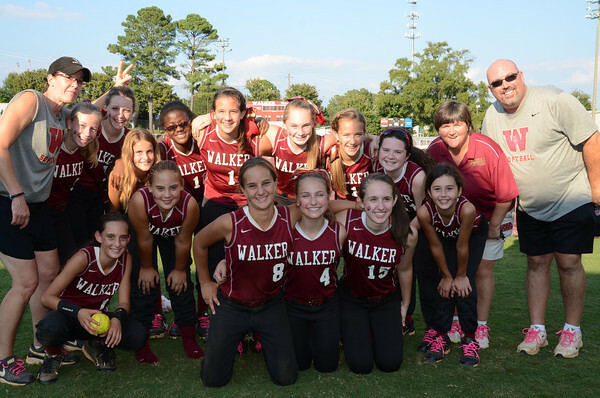 The Walker Middle School softball team ended its season this year with a 15-4 record. How did the girls get there? The journey started in fall of 2011. On the first day of tryouts, only four or five players showed up – hardly enough to field a softball team. The search was on to find more players. Thankfully, there were five fifth graders – Camryn Cowan, Madeline Daniel, Shelby Kraal, SaraBeth McClure and Claire Mohandiss – eagerly awaiting their call up to the “big leagues” of the Middle School team. Not only would they fill the need for players, but the crew also included two pitchers. The team worked hard and played their best in every game, ignoring the size difference between our fifth graders and the eighth grade opponents. The season was filled with the joy of playing and a tangible excitement over being part of the team. The enthusiasm would produce two wins and was more than enough to keep the girls interested in playing for the next two years. The fall 2012 season was filled with many of the same challenges. The fifth graders were now officially a part of the Middle School; the team was built around these five returning sixth graders and three returning seventh graders. The spirit from the previous year continued and the team focused on learning and improving. The team posted a 2-11-1 record that season and eagerly looked to the future. When the fall 2013 season arrived, the thrill of the game was still alive for this core group of softball players. The seventh and eighth graders were now playing their third season together. Admittedly, they were not sure what to expect, and they set a goal to reach the NAML tournament. The season opened with a tight game against Mt. Vernon. Walker eked out a one-run win, 8-7. The thrill of victory quickly became contagious and the team was off to a quick 3-0 start, setting new benchmarks along the way. In the Fall Sports Awards Assembly, eighth grader Randi Epstein recounted the sharp contrast in improvement for the 2013 season. “Let me paint you a picture,” she began, “In 2012, our overall record was 2 wins 11 losses and 1 tie, in 2013, our overall record was 15 wins and only four losses. In 2012, we scored a total of 73 runs for the season, but this year, we scored a total of 211 runs.” What an amazing season! While the team just barely missed reaching the championship game in a one-run extra inning loss to Providence, the improvement and perseverance of this group of girls was the true mark of champions.